Electric cars have revolutionized gas mileage and have become extremely popular in recent years. A major role that influenced their success is the lack of global efficiency in fossil fuel. 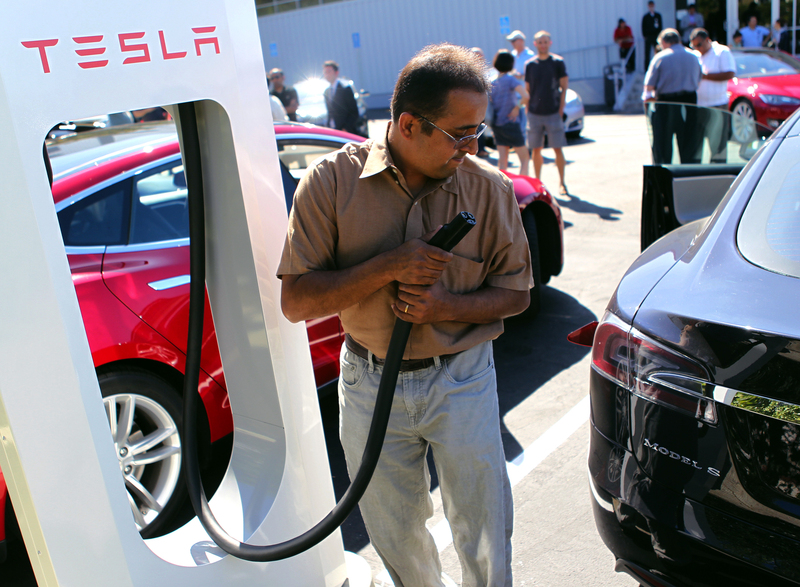 Of the many electric car companies, the one that stands out the most is Tesla Motors. Tesla Motors Inc. has not only been successful among other electric cars; it has also been the most successful American car company, according to The Fiscal Times. They are the first car company in America to fully pay off their government loan of $465 million. The electric vehicle market has been struggling for a long time and only recently has it improved. Many companies have failed in successfully launching their own electric car. This failure is due to expensive vehicle prices, doubts in electric energy and the uncertainty of the reliability of electric vehicles. Chevy introduced a plug-in hybrid, the Volt, with the expectations of being untouchable in the world of electric cars. These expectations were not reached, however, because General Motors said the company lost money on every Volt that was sold. “The Volt is over-engineered and over-priced,” Dennis Virag, president of the Michigan-based Automotive Consulting Group, said in an article by Reuters. Tesla also changed the plain image electric cars had. Before Tesla, electric cars were thought to be inefficient, but Tesla changed ordinary into luxury and class by adding all the must-have details of a luxury car. “I personally am a proponent of gas cars, but if people want to buy electric cars and spend a bit more money if a battery problem occurs, then that is their own choice,” said Bryce Suyenaga, sophomore undeclared major. Though Tesla has had its share of suffering, it is now the most successful electric vehicle and is now competing with luxury car companies. The Fiscal Times reports that Tesla had its first profitable quarter in May, earning $11.2 million.